Only MacGyver can cut duct tape with his teeth! Please don’t tell our dentist that you saw this here. I call my husband MacGyver. He’s like MacGyver, only better for me because he’s here and not on TV. His clever solutions to impossible problems never cease to amaze me. This is from Episode 5, Season 2. Not really. But it could have happened on the show. We were invited to a cousin’s wedding in Martha’s Vineyard. So excited to be going away without kids for the first time in forever. There are two ways to get to Martha’s Vineyard – by boat or by air. Since we live about 3.5 hours from the ferry, we decided to drive. 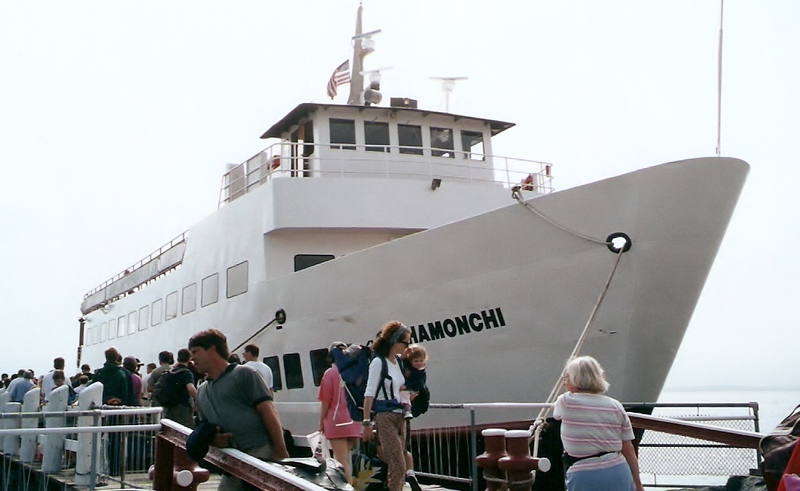 If you’ve ever been to Martha’s Vineyard and you’re not flying and you want to bring your car, you’ll know that you need to reserve a spot on the ferry for your car about six decades in advance. (Really, about six months will do but it seems like six decades when you’re waiting for that day to arrive.) And you have to be there, on time for your reservation, or your car won’t be going with you. And if you miss the 9:00 ferry, you can’t get on the 11:00 ferry unless you have a reservation or someone who had a reservation doesn’t show up. So, you probably know where this story is headed. We left at 4:00 AM to be at the ferry by 9:00. Plenty of time. Route 80 East and we were driving through Manhattan at 5:00 AM when the oil light in the car flashed. We had just rounded a turn at a good rate of speed, which apparently caused a sensor to react, because we now know there was nothing wrong with the oil. But we did not know that then. My husband decided he should take a look under the hood, just to be sure there was nothing wrong. So we pulled over on the shoulder of Route 80 (completely OFF of the road) in midtown Manhattan at 5:00AM. It was still dark and the traffic was terrific, even at this hour. He looked under the hood and opened the oil cap to check the level, and it was full. No problem there. That’s when the real trouble began. I stayed in the car. I was very pregnant and there wasn’t any point in both of us looking at the oil. And then I noticed the flashing red lights. A police officer had pulled up behind us. Apparently, in NYC, the shoulder is for emergencies only and he did not deem the oil light an emergency. My husband had to supply license and registration, but the nice officer let us go with a warning. I love NY! So, he closed the hood and we were on our way. “Our car?,” I asked. And of course, I turned around to look. I don’t know how it didn’t smell in the car, but it didn’t, and there was thick black smoke behind us. Fortunately, it was lighter outside now and easier to see the smoke. It probably would have been better for me if it had still been dark. We pulled over after the toll booth. Remember, our cushion of time was dwindling. He opened the hood and there was a small fire. He said, “Run to that tractor trailer and ask if he has a fire extinguisher!” So, now it’s about 6:00 AM, I am pregnant and running to a tractor trailer parked beside the road to knock on his door. I am not wearing shoes or clothes that are appropriate for running. Great! I knock and politely make my request and the nice truck driver practically throws a fire extinguisher at me. I run, to the best of my ability, back to the car. It’s mostly just smoking now, but my husband gives it a squirt of foam. And he says, “I think I was so distracted by the police officer, that I forgot to put the oil cap back on.” That’s not a direct quote because what he really said I can’t repeat. But that was the gist of it. 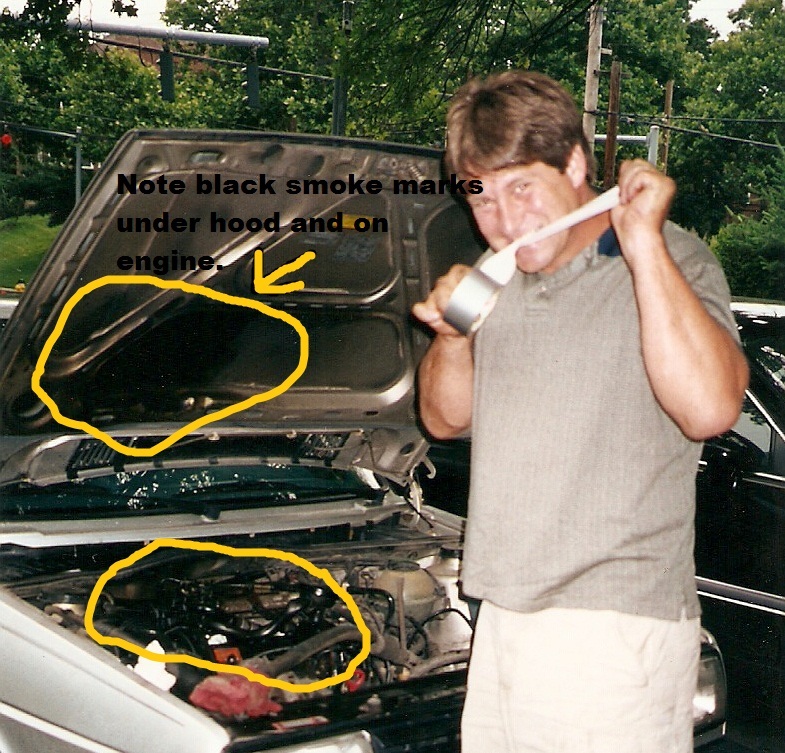 He went on to explain that the oil was splashing out and got hot and burned, hence all of the black smoke. I walked back to the truck to return the fire extinguisher. Did I mention that I think I woke the trucker up when I knocked on his cab door the first time? We can’t drive without the oil cap. My husband searches the car for something to use to replace it. He finds a small Frisbee in the trunk. Too big. The lid from his water bottle. Too small. I have a plastic jug of decaffeinated, lemon tea. The plastic cap looks to be about the right size. Only, how can we get it to stay in place? He – Run back to the tractor trailer and ask the driver for duct tape. Me – Me? Go back there again? How do you know he’ll have duct tape? He – He’s a truck driver. He will. Just go ask him. I run (walk fast) back down the highway again, still pregnant, to the tractor trailer. (Let me just note here that I was not pregnant with my first child. If this had been my first pregnancy, my husband might have carried me down the road to the trucker. But after one or two, I think the novelty wears off for the husbands, at least it did for mine.) I knock and ask for duct tape, and of course, the trucker has some. He is even so nice that he says I don’t have to bring it back. I should just keep the whole roll. He probably would have given me a case of duct tape if he’d had it, just so I would leave him alone and he could sleep. Sorry, sir. The engine is hot and oily. Duct tape works well on a lot of places, but not so well on hot, oily ones. Eventually, he used enough duct tape and it seemed to be holding. So we got back in the car and we drove…as far as we could. There was more smoke. The duct tape didn’t hold. We got off at the next exit. It was a very small town with a little Main Street. No auto parts stores or gas stations. Nothing was open, except a tiny, little Mom & Pop newspaper shop. I waited in the car. I had no idea what he was going to find in that store that could help us. My husband went into the store and a few minutes later, the “Pop” left the store and went into another building. He came out with a box of aluminum foil which he gave to my husband. My husband came back to the car and told me that he was going to fashion an oil cap from foil and duct tape. I walked over to the store and bought a paperback book to thank the storekeeper for going to his apartment to give us foil from his kitchen. He made the new oil cap of foil and duct tape, and believe it or not, it worked! We made it to the ferry with 5 minutes to spare. Bravo, MacGyver! This was either our ferry or the one in the next dock. I had been up since 3:00 AM, was hungry, tired and pregnant. At this point, it was all a blur. P.S. 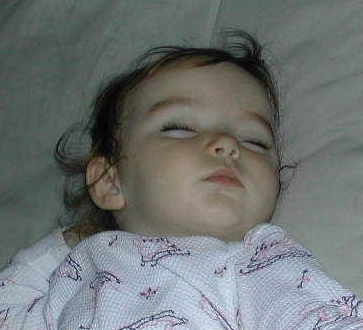 The baby was born some time later. And she is fine. He can come over and build me a deck any time– as long as duct tape isn’t involved. LOL It took my hubby a whole wkend to figure out that new kitchen faucet..